Success stories Discover all the success stories that make us proud every day, thanks to you ! La Chaîne de l’Espoir has to continue helping people in need. In order to answer the needs of the populations who suffer from deteriorated living conditions due to war, La Chaîne de l’Espoir has been active in the north of Iraq since 2016 to re-establish functional health systems and access to quality medico-surgical care. More than 6,000 people have benefited from medical and surgical consultations and close to 1,800 general and specialised surgery operations have been carried out thanks to the actions of La Chaîne de l’Espoir. Deployment of medico-surgical training missions. Equipment and start-up of the operating theatre. Development of care capacities for general and specialised surgery (orthopaedic, ENT). Implementation of paediatric and maternity care. With the deployment of its field missions, La Chaîne de l’Espoir performs medico-surgical consultations to ensure the treatment of patients in health centres, and surgeries (emergency, general and specialised) necessary to meet the needs of vulnerable populations. Between 2015 and 2017, La Chaîne de l’Espoir took care of the supply of equipment and start-up of two general surgery operating theatres together with other related services (recovery, post-operating care, etc. ), one in Rabbia and one in Sinoni. 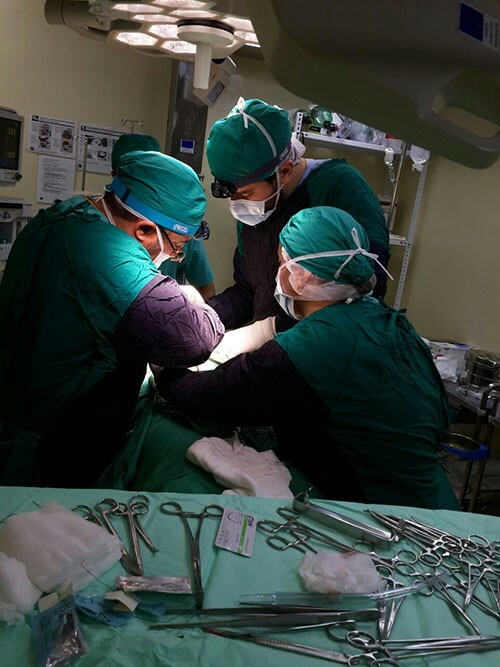 In order to partake in the medico-surgical response to the battle of Mosul, La Chaîne de l’Espoir fixed up the operating theatre of Bardarash hospital in 2017. Finally, La Chaîne de l’Espoir built a 4-bed emergency room in the primary health centre of the city of Makhmur, thus enabling people fleeing conflicts to benefit from medico-surgical care. 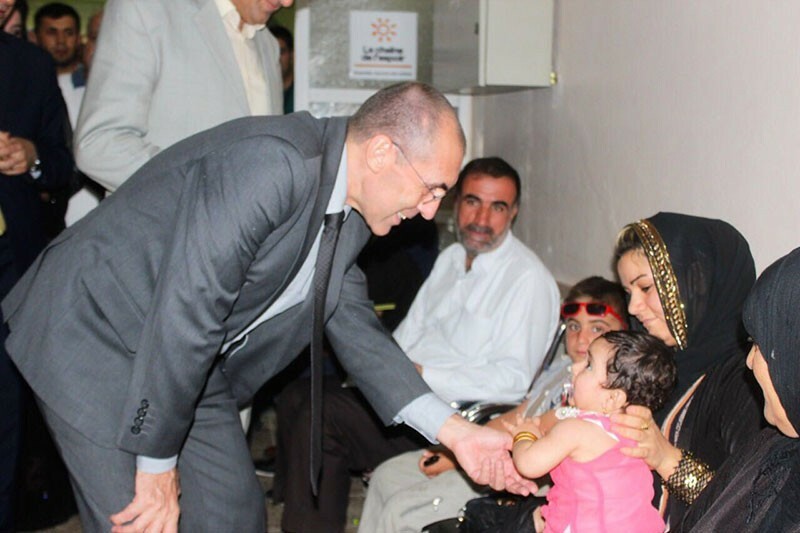 The aim of the programmes of La Chaîne de l’Espoir is to empower the health centres of Iraqi Kurdistan and sustainably strengthen the skills of the medical and surgical players. 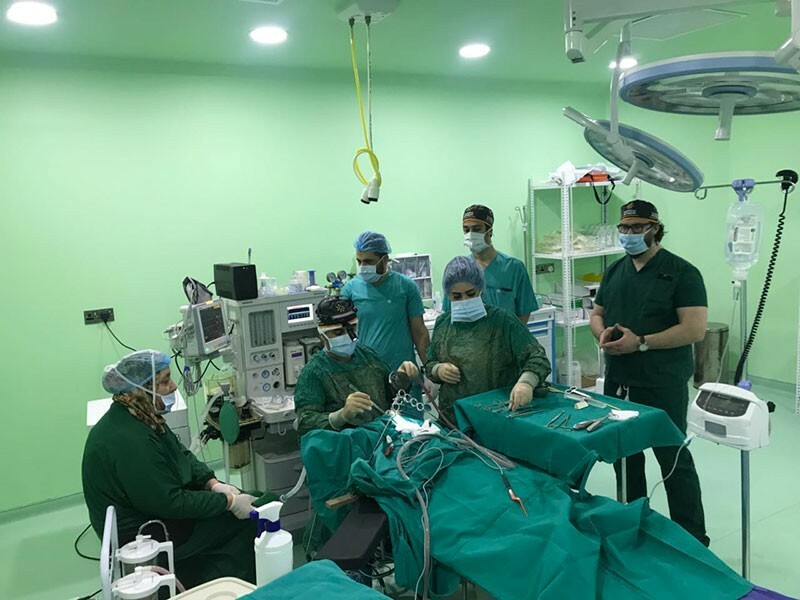 To do so, La Chaîne de l’Espoir relies on training sessions for the medical and surgical staff of northern Iraq and provides consumables and equipment necessary to the development of medical and surgical activities. These programmes have been carried out with the contribution of our partners: the Crisis Centre of the Ministry of Europe and of Foreign Affairs, the European Civil Protection and Humanitarian Aid Operations (ECHO) and the Office for the Coordination of Humanitarian Affairs United Nations (OCHA).